With a number of products available on the market today it is difficult to know which one might be right for your teeth as all claim to provide remarkable results and a far superior white smile. At the White House we have become Ireland’s laser teeth whitening specialist by carefully putting into operation and researching all treatments within our industry, and thus are confident to recommend the Beyond Polus to all clients who are considering teeth whitening and therefore treatment. The Beyond Polus at the White House Contains LightBridge technology, the system produces zero UV light and provides Low-Level Laser Therapy (LLLT), yet still effectively is The most powerful halogen light output available. The Beyond Polus is clinically proven to provide superior results to LED and plasma arc systems so beware cheap imitations and clinics that are offering deals and prices on laser teeth whitening that are too good to be true… because they usually are. Unlike other clinics, at the White House we tailor each individual treatment to the match the client’s teeth. No Laser treatment is the same and at the White House our technicians provide complete care, consultation and after treatment follow up to make sure you are happy with your new white smile. 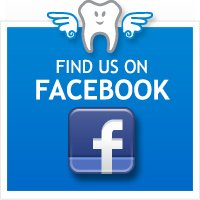 In addition because we use cool blue fibre optic light technology our treatment results in a far greater chance of avoiding any sensitivity unlike LED alternative treatments on the market that use heat lamps that could essentially dehydrate the pulp of the tooth and lead to enhanced sensitivity and discomfort. At the White House we are so confident we have the best technology for you on the market we offer a full money back guarantee. Perhaps the best thing about at treatment is its simplicity. All it takes is an hour of your time and the treatment is all done in-office. Which means you don’t have to fiddle around yourself with take home trays or strips which can cause irritation and discomfort, nor have to worry about continual maintenance and self treatment. So don’t delay, avoid inferior treatments and products and introduce yourself to clinically the most advanced and safest treatment on the market today. Only at the White House Swords, the White House Dundrum, the White House Galway, the White House Fitzwilliam Square, the White House Exeter and the White House Belfast.